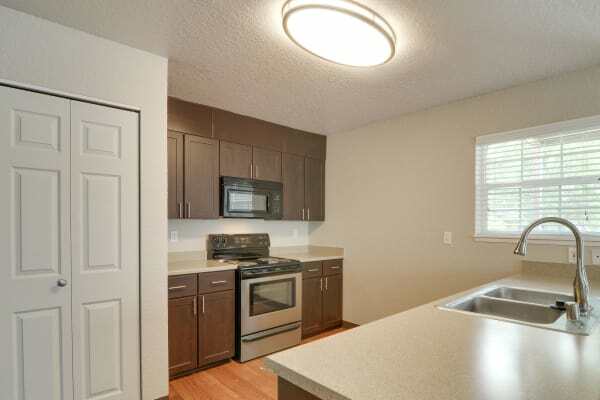 Your Carriage Park Apartments home has an open floor plan and newly renovated interiors. A designer kitchen opens to a shared dining and living space, creating a large area that is great for entertaining. One, two, and three bedroom apartments range from 750 to 1,235 square feet. Two and three bedroom apartments have an expansive master bedroom, complete with second bathroom and walk-in closet. Private garages are available for those who need more storage space or covered parking. 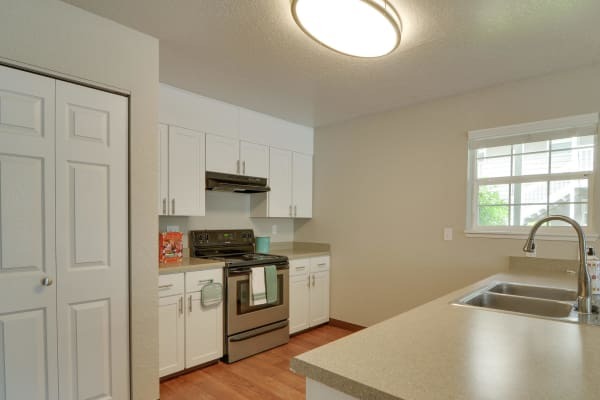 Carriage Park Apartments offers one, two, and three bedroom apartments for rent in Vancouver, WA. One bedroom apartments are 750 square feet. They have a single bathroom, galley kitchen, and in-home washer and dryer. Two bedroom apartments are 1,041 square feet and feature a large, open living and dining area. Three bedroom apartments are 1,235 square feet and have an oversized master bathroom and utility room. No matter which floor plan you choose, you’ll love our standard features, including walk-in closets and private balcony or patio. View our floor plan models and then call us to schedule a tour of the apartment that works best for you.